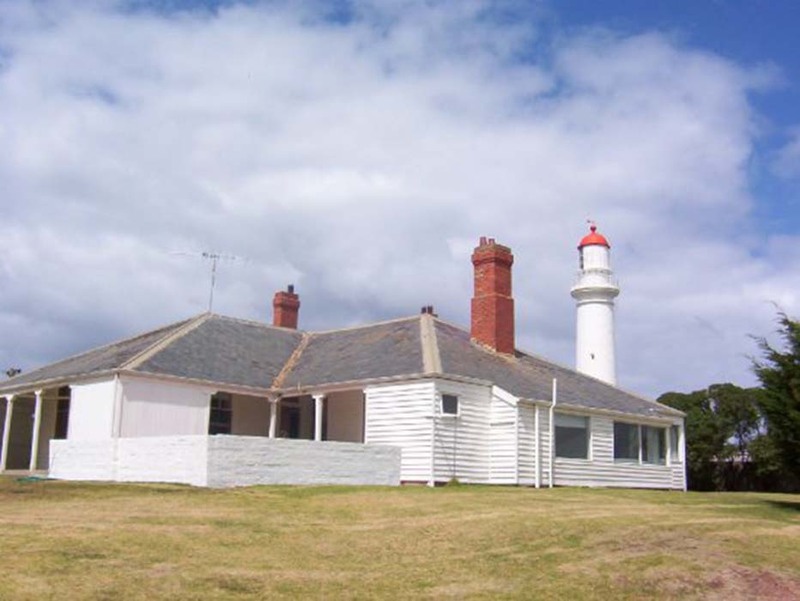 Split Point Lighthouse | Lighthouses of Australia Inc. 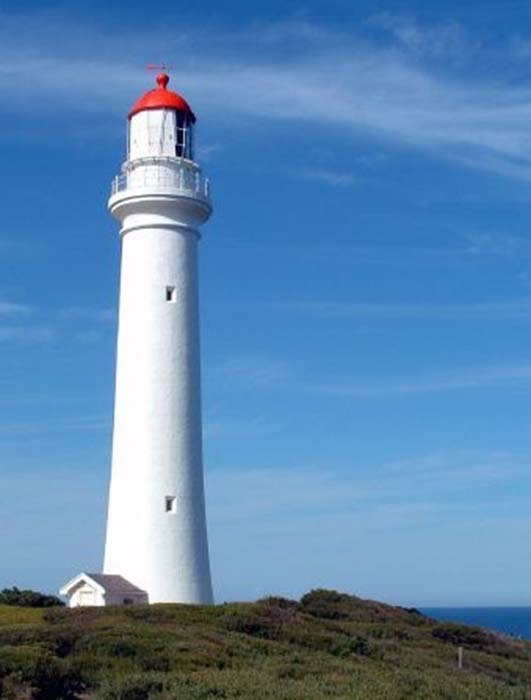 The ‘White Queen’ as she is affectionately known is a welcome sight for ships that have rounded Cape Otway. Overlooking Eagle Rock the lighthouse is not only a beacon to seafarers but also to travellers on the Great Ocean Road. 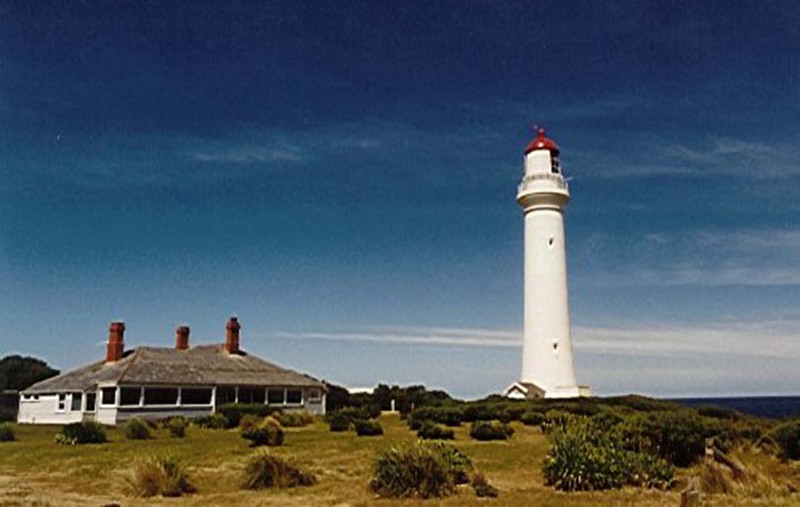 Originally called Eagles Nest Point, the lighthouse was built in 1891. The cement rendered concrete tower has a Chance Brothers first order lantern and a 920mm focal radius lens. The original light source was vapourised kerosene. When it was taken over by the Commonwealth Government in 1919 the light was converted to acetylene and automated. Conversion to mains electricity took place in 1972. The nights tending lights were long and Gordon Reid tells of one keeper’s solution to the problem in his book, From Dusk Till Dawn. In March 2004, the two assistant keeper’s cottages were put up for auction. Much speculation and publicity surrounded the event, and there were hundreds of people at the auction on 6 March. The auction result was reported in local newspapers, The Geelong Advertiser and The Echo – the cottages were sold for an undisclosed figure over AU$1.5 million. Split Point Lighthouse is managed by Eco Logic Education & Environmental Services. Tours can also be booked on weekdays with a minimum group size of 4. Note: Children must be 5 years or over. Private access for weddings and functions is also available. Family and group discounts apply.